Paying attention to your diet and following an exercise program do not always work for people interested in losing weight. Some of them opt for bariatric surgery to make changes to their digestive system to control their weight. There are different types of bariatric surgeries – some of them make your stomach smaller, while others change your small intestine to affect the way your body absorbs nutrients and calories from food. However, not everyone can go for bariatric surgery. They get to know more about your nutrition and weight history. This involves paying a close attention to your weight trends, eating habits, diet attempts, stress level, exercise regimen, motivation, time constraints, and other factors. They consider your medical condition before going any further. You may have to deal with serious side effects when you have an existing condition and choose to undergo a weight-loss surgery. This is especially true for people who already have heart problems, liver disease, blood clots, nutritional deficiencies, and kidney stones. Your medical team also considers the medications you may already be taking for your existing conditions. They evaluate your psychological status before giving you a green signal. If you have an eating disorder or another psychological problem that has led to substance abuse, binge-eating disorder, anxiety disorders, or depression, you are less likely to experience the health effects of gastric surgery. They also check your motivation level and determine if you are willing to follow all the recommendations they make after your surgery. You have to follow a certain diet and exercise routine after your surgery to maximize its benefits. They also consider your age before tagging you as a good candidate for bariatric surgery. You are likely to deal with serious side effects after surgery if you undergo a procedure later in your life. Just like elderly people, someone under age 18 may not be a suitable candidate for bariatric surgery. The procedure involves creating a small pouch by placing an inflatable band around the top of your stomach. This ensures that you feel full even when you have eaten a small amount of food. There is a circular balloon inside the band with a salt solution in it – your surgeon can change the amount of the solution with a small device to alter the size of the opening from the pouch to your stomach. You usually need several follow-up visits to ensure the size of the band opening is perfect. It is possible to remove the band if it does not help you achieve your weight loss goals. Also called vertical sleeve gastrectomy, the procedure involves removing most part of your stomach except for a banana-shaped section, which is closed using staples. This limits the amount of food you need to keep your stomach full. Keep in mind that the procedure affects your gut hormones and gut bacteria because it involves the removal of a large part of your stomach. It is not possible to reverse the procedure. Also called Roux-en-Y gastric bypass, it is a two-part procedure. First, your surgeon creates a pouch in the upper section of your stomach and staples it. This reduces the size of your stomach. Next up, your surgeon removes your small intestine and connects it with the small stomach pouch. This ensures that your body gets fewer calories from the food you eat. The procedure changes gut bacteria, gut hormones, and other factors that may affect your metabolism or appetite. It is very difficult to reverse the procedure, so, you should take your time before going for surgery. 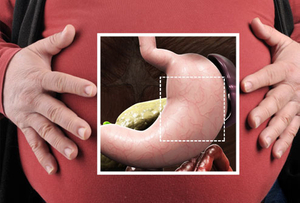 Also called biliopancreatic diversion with duodenal switch, the procedure involves performing two separate surgeries. Your first surgery will be similar to gastric sleeve surgery, whereas the second surgery changes the route of food in a way that it bypasses most of your small intestine. This surgery helps you lose weight a lot faster than other types of surgeries, but it can cause several problems, including a shortage of minerals, vitamins, and protein in the body. Getting more information about the basic criteria for bariatric surgery is important because it tells you what to expect after the surgery. However, you should bear in mind that several factors determine how effective your surgery proves. Some people may lose more weight after surgery as compared to others who undergo the same procedure. Studies show that people with gastric band surgery lose an average of 45 pounds in 3 years, whereas they may lose up to 90 pounds with gastric bypass surgery. You may still regain weight but the process is usually very slow.